Rabies is a viral disease. This occurs usually through biting a human or another animal. Transmission can also occur through saliva touching an open wound or touching mucous membranes. Rabies is nearly always transmitted by an infected animal bite. For rabies treatment to be successful, it must be given before any symptoms appear. Rabbits very rarely carry rabies. If bitten, medical help should be sought immediately. A fear of light and water are among rabies' symptoms. India is the country most affected by rabies. People can help prevent rabies by getting your pet vaccinated. Puppy pregnancy syndrome has increased the rabies death toll in India. To Know What is Rabies? it's Symptoms, Treatments and Prevention you can read the whole article..
Rabies is a virus and, as mentioned, it is predominantly spread by a bite from an infected animal. However, it is also possible to become infected if saliva from an infected animal gets into an open wound or through a mucous membrane, such as the eyes or mouth. 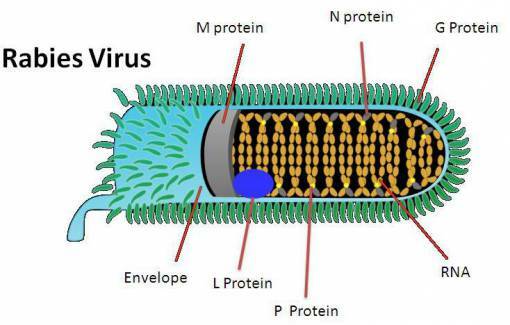 A fast-acting shot consisting of rabies immune globulin; this will prevent the virus from infecting the individual and will be delivered as soon as possible, close to the bite wound. A series of rabies vaccines to train your body to fight the virus whenever it finds it. These will be given over the following 2 weeks and delivered into the arm. In most cases, finding out whether the animal has rabies will not be possible. It is safest to assume the worst and begin the course of shots. Vaccination: if you have plans to travel, especially in Africa or India, vaccination is a good idea.